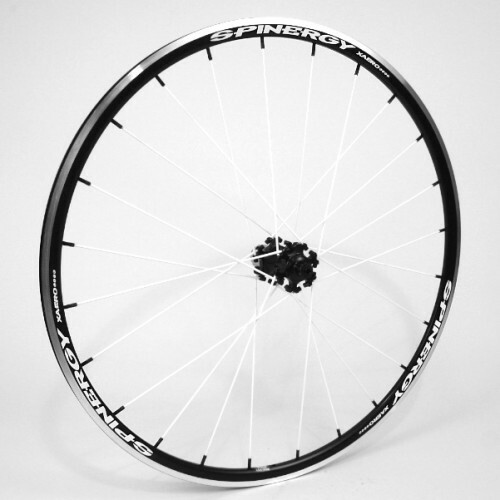 Spinergy is the only bicycle wheel manufacturer with PBO fibre technology. Over 30,000 fibres per spoke deliver twice the strength of stainless steel spokes with half the weight. The spokes are very flexible, giving ultimate comfort absorbing impact far more effectively than traditional stainless steel spokes. The spokes also give less rotational weight meaning you go faster! The shallow section alloy rim (24mm) gives superb stiffness for ultimate acceleration and aero-dynamics. The rims are CNC machined for extremely powerful and effective braking. These wheels are superbly versatile, equally at home on hilly terrain or on the flat roads, a great all round performer.